How to GLOW for your Wedding! GLOW on your wedding day with these simple tips! Up to HALF of All Dementia is PREVENTABLE. Find out how! Did you know that studies show that 1/3 to 1/2 of all dementias are preventable? As a Naturopathic Doctor, I can't say I am especially surprised that this is true (I actually think the real statistic is probably higher), but I am surprised that research has been done to start showing a causal link! 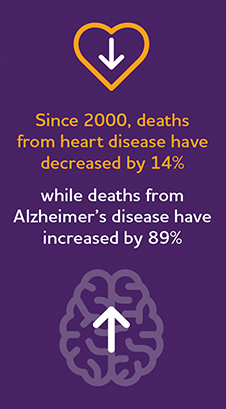 The incidence of Alzheimer's Disease is increasing by staggering amounts. A 2013 report showed that death from brain disease, including dementia, has gone up 66% in men and 92% in women in the last 20 years. In the state of California where I live, there has been a 186% increase in incidence of Alzheimer's Disease since 2000. Thankfully, these scary figures have drawn some much needed attention and research to the issue. The AAIC found that at least 1/3 of all dementias are preventable, and another report by Barnes and Yaffe suggests that almost 50% of all dementias are preventable by seven modifiable risk factors: Smoking, physical inactivity, hypertension, diabetes mellitus, depression, low educational attainment, and midlife obesity. Q: What's the difference between dementia and Alzheimer's Disease? I often see them used interchangeably. A: Alzheimer's is a type of dementia. It accounts for 60-80% of cases of dementia, which is why the two terms are often used interchangeably, even though they are not exactly the same. Get your heart rate up to 80% of maximum heart rate for as much of this as possible. This will help stimulate growth of new neurons, and helps prevent dementia, treat dementia, and increase cognition whether you have dementia or not! 3. Lower (or change your relationship to) your stress. Did you know that meditation actually increases your brain matter? Also, Check the following video out. In one study, participants who read, did puzzles, or played cards, games, or musical instruments about four days a week were two-thirds less likely to get Alzheimer's compared with those who did these activities once a week or less. Avoid unnecessary antibiotics. If you need to be on them, take probiotics during and after. Avoid unnecessary steroid drugs. If you have a chronic condition that requires frequent steroid drug therapy, see a Naturopathic Doctor or Functional Medicine Doctor to start looking for other ways to health. Filter your water. Water now contains chlorine and other chemicals that affect our microbiomes. 6. Supplements that can be helpful: (please seek medical advice before starting any of the following, and make sure your supplements are QUALITY!). *Please see your doctor or schedule with Dr. Riegle for personalized medical advice. Our 8 year old's favorite new thing to say is "how do you know?" after insisting that we watch the documentary "How the Bleep Do We Know?!" in small parts that we could fit in between bedtime, dinner, homework, softball and games of Catan...... She found the movie in our house and became newly obsessed with the idea of watching it. True, it could be because she is relatively TV starved at our house, but she was intrigued by the movie. I actually tend to think that kiddos get it better than most adults. What the Bleep is a documentary that combines the knowledge of quantum physics with the age old framework of consciousness. Through the story of a woman in her life and the interviews of 14 scholars, it explores how we can effect our world in a beautifully tangible way. There are so many lessons that we can take from this video, but I can really only speak to mine. I was reminded yesterday that I have an effect on my life just by the way I think, speak and write about it. It reminded me that I can effect those around me and my environment either positively or negatively by the way I interact with it, by my framework. Yesterday, I woke up in a bad mood. Who knows why- maybe because I had expectations that I did not meet, maybe because my reality was not matching what I thought it should be. I sat in my bed last night after watching this movie wondering how I have effected my life to this point- or even just in the past day? Have my fears and cynicism kept me from succeeding like I could? Have my desire to have things a particular way hurt my relationship with my partner? Have my expectations about my year kept me from experiencing more happiness? Maybe. There's probably some truth in every one. Regardless of what has happened in the past, I woke up determined to carry forward a positive experience of my current and even future day. How do I want my day to look? I worked to imagine it that way- let me tell you though, it's a muscle to be worked and flexed- it's not as easy as I would have thought to have a completely positive spin on how my day will go. But I worked on it this morning. It's better than yesterday, and that's all I am asking for. I was reminded of a play that I saw a little over a year ago that a dear teacher was involved in called The Withing Project. This beautiful play was highly impactful for me, as was this teacher. Science is showing us more every day that just the thoughts we have about each other can impact another person. We absorb (on multiple levels) the positive and negative of those around us. You can see my full thoughts on it here (which somehow, I never published until today!). Today I wonder how I have effected a current situation in my life with, at times, a lack of understanding, anger, frustration, and negative thoughts about people that I would in some way consider family. I aim, starting today, to create more ease in my mind and life by sending love, understanding, and compassion to a couple of people in that situation who I am certain are not feeling 100% great about me. I certainly have not been perfect at this, but perfection is an illusion- a hungry ghost of sorts, if you will. Instead I am to do what I can today, and tomorrow the same. This all comes at a time where I can feel the sweetness of teachings, ceremonies and silence coming for me at the end of May. In loving gratitude for each of you, for my life, and for the teachings. This November, I went to one of the most amazing performances of my life. It was artistically, scientifically, intellectually, emotionally powerful. It was called The Withing Project (http://thewithingproject.com/). With-ing is what a woman dying of liver cancer, Rachel, called a presence she felt from a chemotherapy nurse and others along her journey. A feeling so powerful that it could change her pain, where no amount of painkillers could touch it. The story intersects with the work of a neuroscientist, Dr. Leanna Standish, a teacher of mine at Bastyr University and a brilliant neuroscientist researcher and clinician. Dr. Standish, with her team Todd Richards, PhD and Clark Johnson, PhD basically studied Bell’s Theorem on a macro level, with people. If you’re unfamiliar with Bell’s Theorem (I was), in its simplest form as it pertains to this project, particles that touch forever affect each other, no matter how distant. Dr. Standish and her team asked people who identified as having a strong relationship come in and had one get into an MRI machine and one sit in front of a screen in a different room. The person in the MRI machine, whose brain was being imaged, responded in the visual cortex of the brain to the image that the person in the other room was being shown. The two people were simply told to connect with each other. The implications of this are so far reaching that I don’t believe one can conceive of them fully at this time. What does it mean that we can affect another purely with our thoughts? Or is it our Spirit? Is it our heart’s electromagnetic field (which has been studied fairly extensively at this point)? What is our responsibility to others, to this world if we not only can affect people by physical acts but by thoughts and intention? As the woman sat in her bed, dying, and the doctor sat with her, I thought about the medical world I live in, with busy doctors, electronic medical records that have put a screen between me and the patient for ½ of the visit, and cell phones that go everywhere with us for resources….even often into a patient room…. Where does all of the benefit fall short of the risk of losing that healing withing space that we can hold for another to heal? Where is the balance? Perhaps it is anti-climactic that I do not have the answer, but then again, perhaps the question itself offers more answers in the end. This week is National Infertility Awareness Week, sponsored by the incredible organization, RESOLVE. 1 in 8 couples in the United States experience issues with fertility. That's an incredible amount of people in the United States, who, in my opinion, get very little support for the frustrating, often heart breaking times they endure. Infertility plagues people of all races, both male and female, and all sexual orientations, religions, and abilities. It is truly a disorder that should be at the forefront of our research. Many couples who go through diagnosis of infertility experience a lot of shame. I truly believe, as Brene Brown states, that shame comes from the feeling of isolation, the feeling that we are alone in whatever we are going through. I would never ask a couple going through infertility to 'out' themselves if they didn't want to. Everyone deals with this process in their own way. Instead, this is a time for everyone else to come together and voice support of those people struggling with infertility. Awareness and love can be spread through our communities in a way that is non-assuming, gentle, and supportive. We can come together for these friends and family members in our community. What can you do for these friends and family? Let them know that you're there for them, and then BE there for them. Depending on your relationship and what they need in the moment, this may look like caring for their other kids while they are at appointments or grieving; coming over when they call because they are so frustrated, angry, or sad; going to hard appointments with them or meeting them afterwards; and so many other things- the main point is to ask "what do you need?". If they say they don't know, let them know that when they do know what they need, that you're there for them. I see everything going on in the world right now, and I look around and still believe that we can do this. We can do this human family. We can pull together, act with kindness, love and grace. We can be there for each other. All we have to do is live today that way, then wake up tomorrow, and do the same. Dr. Jen Riegle is a Naturopathic Doctor (ND) who practices in Santa Rosa, CA. Dr. Jen specializes in women's health, infertility, and oncofertility. If you live in the Bay Area and would like to make an appointment, you may schedule on our website or by calling (707)-243-8998. Last month, a study published in the American Journal of Obstetrics and Gynecology showed that there is an increased risk of pediatric cancers in children whose parents underwent IVF (in vitro fertilization) and OI (ovulation induction) fertility treatments. This population based cohort study followed almost 250,000 children for a median of 10.5 years in Israel. Additionally, the results showed that rates of Gestational diabetes and hypertension as well as pre-GDM and hypertension were higher among mothers in the treatment groups compared to spontaneous pregnancy. Though more research needs to be done, this study showed significant increases in neoplasms in children conceived with IVF or ovulation induction in a very large study size. IVF and OI remain a very useful tool in becoming pregnant for some couples, but other avenues of fertility treatment, such as lifestyle, herbal, supplemental and dietary support, should be attempted whenever possible.